Beautifully illustrated under Colton's direction, Heaven Is for Real for Little Ones can help parents introduce the concept of heaven to toddlers and preschoolers. It's never too early to let children know that Jesus really loves them and has a special place for them in heaven! 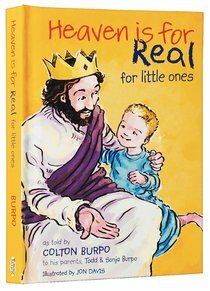 About "Heaven is For Real For Little Ones"